Tata Motors India has awarded its' standalone external PR mandate to Weber Shandwick India. The mandate, which will include Jaguar Land Rover, is in place annually. Weber began work on the 1st of May, 2018. A Tata Motors India spokesperson also clarified that the mandate does not include a digital component. 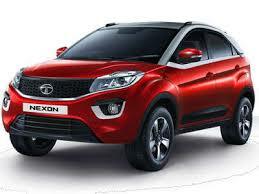 Earlier this month, Tata Motors told the Economic Times that they had recorded a strong performance in 2017-2018 over the previous financial year, registering a 30% jump in sales. The confirmation of the Weber win puts an end to months of market speculation about who would get the Tata Motors account, speculation that began with the Auto Show in 2018. In January 2018, Tata Group shifted its' PR account to Adfactors PR, including the TCS account and several other Tata firms in sectors such as steel, power, beverages and hotels. As Adfactors PR also handles Mahindra, taking up Tata Motors would have meant resigning it's long-standing Mahindra account. The Tata Motors India standalone business account has now gone to Weber.